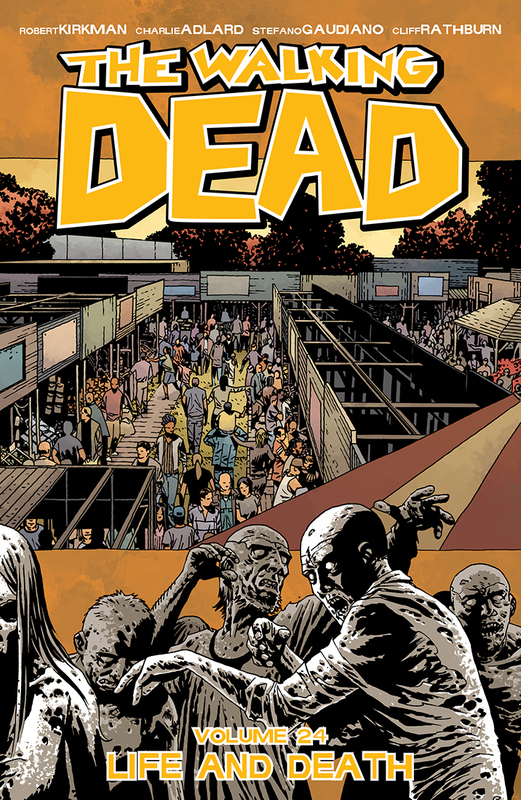 WARNING: Spoilers through Volume 24 (issues 139-144) of The Walking Dead comics. I know I’m not alone in feeling like Volume 23 of The Walking Dead was comprised of a bunch of filler issues, but wow, did Volume 24 make up for it. I just wish it hadn’t done so in such a heart-wrenching manner! Nah, who am I kidding, I know these comics are eventually going to rip my heart out, and it’s actually probably WHY I read them. “Life and Death” did start out a bit slow, with the three communities still planning for the big fair. 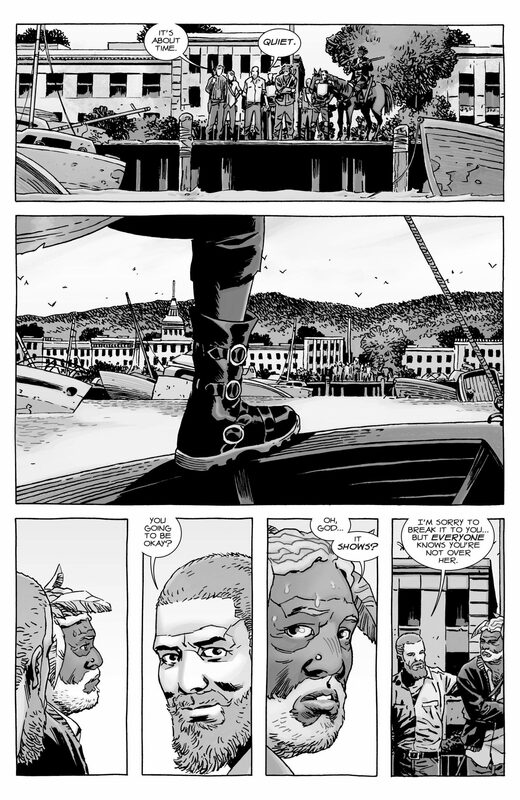 The one part that confused me a bit was the fact that Michonne is now apparently part of a fishing crew; that, combined with her sudden backstory reveal, didn’t sit very well with me – it felt like awkward, forced storytelling, though I suppose it was nice to find out why she ran off and was avoiding Ezekiel and her relationship with him. The only thing that balanced out the bad in this particular scene was seeing so much interaction between Rick and Michonne, including being reminded that they’re basically “best friends”. Things are still messy in the world of TWD – and Michonne is one of the messiest people of all in terms of relationships – but her and Rick, and Rick and Andrea, are some of the positive things I look forward to in every new installment of this comic. Meanwhile, Negan is still locked up in a basement…sort of. The fact that his cell door popped open and he remained where he was and didn’t wreak any havoc is interesting, but at the same time I kind of just wish he would go away. I won’t pretend that I don’t swear from time to time (okay, maybe too much), but reading his language gets old really quick. That, and the whole Negan story was already drawn out long enough. Just stop already. Things aren’t exactly perfect at the Hilltop, either. In my Volume 23 review I mentioned that Gregory’s assassination attempt was so bad as to be almost funny, but I was still surprised to see him pleading that he hadn’t done anything at all. Honestly, I think that this whole Hilltop arc between him and Maggie was weak. 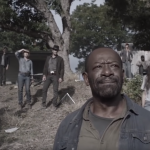 With every appearance, Gregory seemed more and more like a joke, and while I’m not totally on board with Rick’s rules about not killing people anymore, Maggie deciding to hang Gregory seemed forced and out of character, regardless of the reasoning. That said, perhaps they’ll use this situation to make Maggie into a harsher, less forgiving character, so I’m going to avoid too much judgment until I see how she handles the new threat of the Whisperers. Speaking of the Whisperers, I kind of have to repeat myself here and say oh, Carl. Carl, Carl, Carl. He was really starting to grow on me in recent volumes, but Kirkman clearly wanted to perpetuate the idea that all teenage boys lose their minds along with their virginity. And he also can’t let Rick catch a break – even after Rick allowing Carl to move to the Hilltop, Carl still has plenty to hold against his dad – and everyone else who isn’t Lydia, apparently. 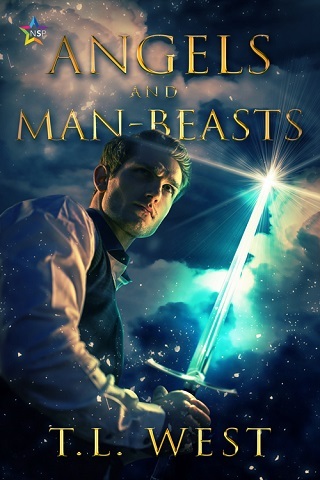 Of course it seemed too good to be true that Alpha would just allow Lydia to leave the Whisperers, especially when she has a zombie horde to play army for her – but is that just me being jaded from having read this series for too long?